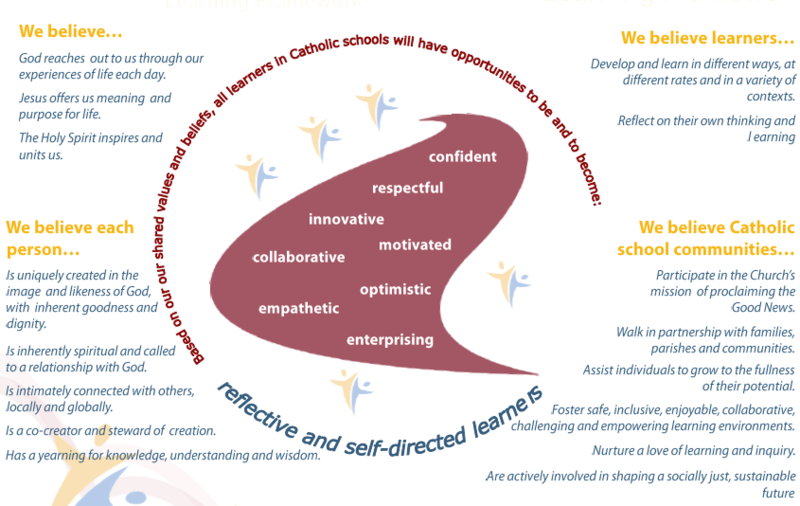 Our Diocesan Learning Framework identifies and articulates what we believe is essential for all learners – adults and children alike – in our Catholic schools. The Learning Framework: Preamble articulates who we are and who we are striving to become as a community of Catholic Schools in the Diocese of Rockhampton. lifelong learning roles that are significant outcomes for all learners. For more information, please refer to the Catholic Education Diocese of Rockhampton website.